If I were not a member of The LDS church, I would want to be Jewish. Seriously. I'm the first to admit that I don't know a whole lot about this religion. As a matter of fact, I met my first Jew (Unless you count my Jewish penpal from NYC when I was in sixth through tenth grade. We thought we had a lot in common since we both went to "temple") when I visited NYC in 2007 and I loved/love her and we were friends at first sight over a plate of Indian food! 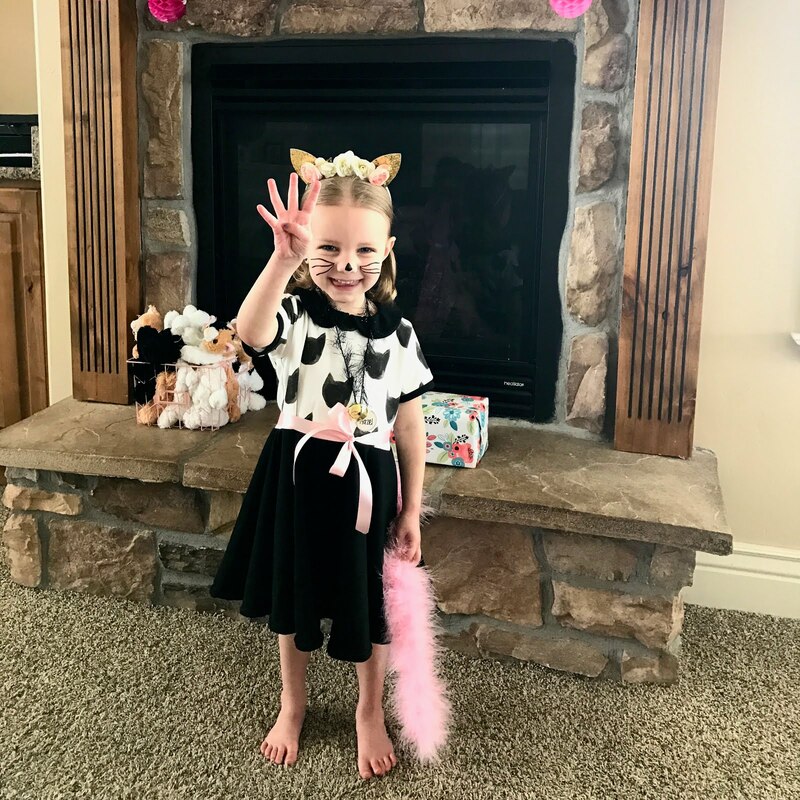 I think I was the first legitimate Mormon that she had met as well. Together we called ourselves "MoMoJews". 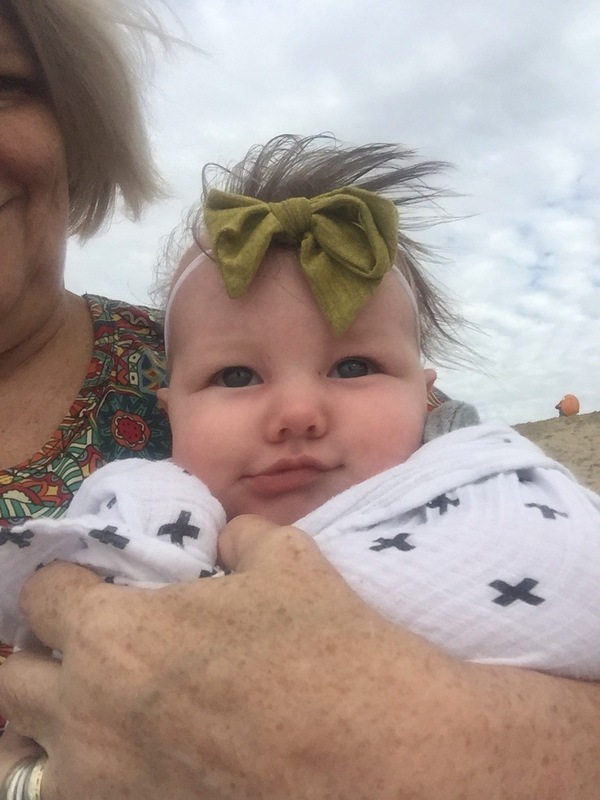 She is a brilliant woman and has a very entertaining blog. Find her at magicjewball.com. I love Becca and admire her beyond measure. 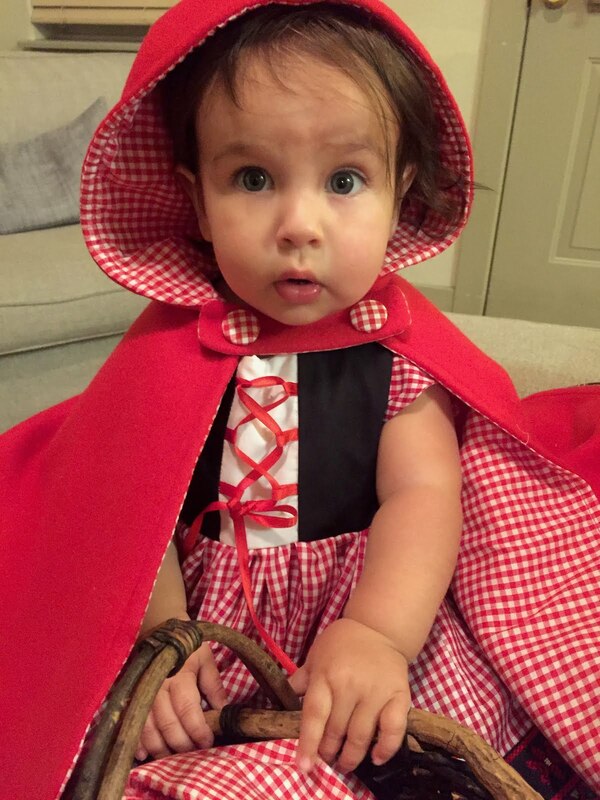 Since she's Jewish, it stands to reason that ALL Jewish people are also wonderful and admirable as she...just like ALL Mormons are perfect like me! BWAHAHAHAHAHAHA! Any special day set aside to celebrate and remember a miraculous bit of history is well worth my time in celebrating it. Such is the story of the Festival of Lights. A miracle of having enough oil in the temple to last for eight days instead of one after pleading with God to make it so, is a story I can really get behind. How did this love of all things Hanukkah begin? It was on the streets of Portland, Oregon. My new husband and I were there on a business trip. While he was in meetings, I roamed the streets. I slipped into a small little shop that sold all things Jewish, in particular, Hanukkah. I was smitten right away. I purchased my own little brass menorah with a box of 144 blue and white candles. I bought chocolate Hanukkah gelt and a bunch of dreidels...like at least 20. Then I headed down to Powell's Bookstore (Most amazing bookstore in the universe) and bought up as many children's Hanukkah books as I could afford, and maybe even some that I couldn't (wink wink). I brought everything home and have been obsessed ever since. 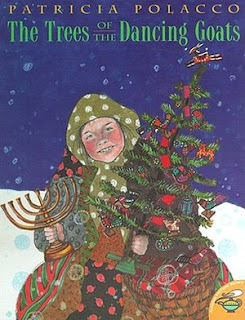 I haven't missed a single year of reading books about Hanukkah and trying to expose my students to as much about other annual celebrations, in addition to Christmas, this time of year. I remember one year I invited my next door neighbor, Eric Huntsman, to be our special guest. Eric was/is a professor of ancient history at Brigham Young University. He speaks about 8000 different languages (not really but he does speak several that I wouldn't ever even think of learning...Hebrew doesn't really come in all that handy these dayd) and he was able to come and share some things about Hanukkah. Then, he gave us a sense of how Hebrew sounds by reciting a couple of the blessings said at Hanukkah time. If you would like to know more about Eric, he is currently living in Jerusalem teaching for BYU in the study abroad program and has a family blog. After Eric presented, and most years since, I served up some delicious latkes with sour cream and we played the Dreidel game. This has been my tradition ever since...minus Eric, of course! 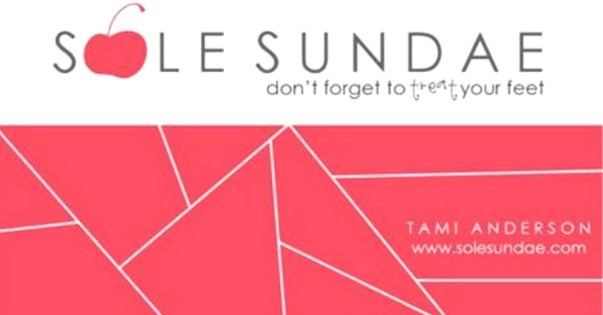 It is my favorite week of the year. The children usually don't know anything about Hanukkah and are just as mesmerized about it as I am. If none of this makes sense to you and you are thinking to yourself how crazy and far-fetched my ideas about religion are, just know that it's okay. I didn't write this to "make sense" but, rather, to put in words the feeling that have so often been rattling around inside me. I am transfixed when it comes to the topic of religion and love to understand what others believe. It really does build love and understanding rather than forcing us all to misjudge others by being misguided and ignorant. So...when I hear the greeting "Happy Holidays!" I don't think of it as leaving Christ out of Christmas but, rather, celebrating the religious beliefs of others' who may be different than mine. Give me Christmas and I will always remember and love my savior, Jesus Christ and love him for his life and sacrifice. Plus, the thought of Him being born in a stable to his beautiful mother Mary and stalwart and strong step-father, Joseph will forever make my heart sing at Christmastime. But I think it can sing too for my friends who believe something perhaps a little different than I do. That is just fine. Love, acceptance, understanding, and friendship are what these here holidays are all about. So, to my Jewish friends a very Happy Hanukkah (beginning December 20th)! I hope you will make room for me at your holiday table and even save me a latke or two! Oh how I LOVE this author, Patricia Polacco, whom I have met a couple of times. She is a dear, dear lady. Read her books (especially this one and also Pink and Say) if you haven't. She is amazing. The story is amazing. 1. 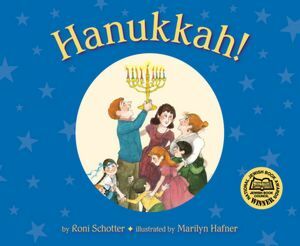 Hanukkah By: Roni Schotler I love the illustrations in this book. It also is written with a rhyme and rhythm that children love and appreciate! 2. 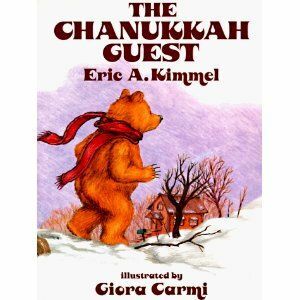 The Chanukkah Guest By Eric A. Kimmel This is a cute story about an older woman who makes the best latkes in the village. Her eyesight is failing and when she thinks she is serving latkes to her rabbi, she is really serving to a real, live BEAR! The children love this and think it is hysterical! 3. 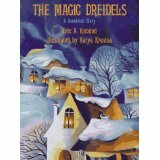 The Magic Dreidel By: Eric A. Kimmel (this guy writes a lot of Jewish literature) This book is really cute. 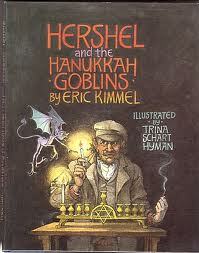 It has all of the necessary characters (Fruma Sarah, goblins, gelt, dreidels, latkes, etc. etc.) The children really enjoy this book as well. They love to hear how a regular little boy can get into cahoots with a silly goblin to teach the crochity old busy body neighbor a valuable lesson. You did forget the best part of Hannukah, though: jelly donuts! It is the fried theme, along with the latkes, because of the miracle of the oil. Who wouldn't love a holiday based on fried foods? I wish you could come to NY and celebrate Hannukah with me. In the meantime, I will continue to think of you over the holiday season and how wonderful it is to share traditions with friends. PPS, I knew a book about goats would be about us! OK, maybe not. Oh Abbie! I actually already knew that about you. Do you remember when your dad and I first got married? You came over to our very first place and we lit the Hanukkah candles. You were smitten all the way back to when you were 13!! I had no idea there were jelly donuts involved! I don't know how I missed that one! So, is this your way of asking to be invited to Hanukkah? ;) I had no idea you loved it so. I love being a Jewish Mormon. :) Best of both worlds!!! P.S. Actually, You've listed two of my most favorite authors. Love Eric A. Kimmel as well.